Roberta (Bobbie) Holzwarth is the Chair of the firm’s Employment & Labor Group. Bobbie represents employers in various employment and labor matters, including: counseling in complex ADA, EEO, FMLA and other workplace matters, sexual harassment investigations and training, negotiation of collective bargaining agreements, preparation of employment and no-compete agreements, and the preparation and review of employee handbooks and personnel policies. Bobbie also represents employers and employee welfare benefit plans in connection with employee benefit matters. Bobbie’s litigation experience includes the representation of employers in discrimination and sexual harassment cases, retaliatory discharge and other “employment tort” cases such as those involving tortious interference, defamation and breach of privacy claims, and breach of contract cases. Her experience also includes litigation of unfair competition claims, ERISA and COBRA benefit claims, FLSA and other wage claims, as well as prevailing wage claims. 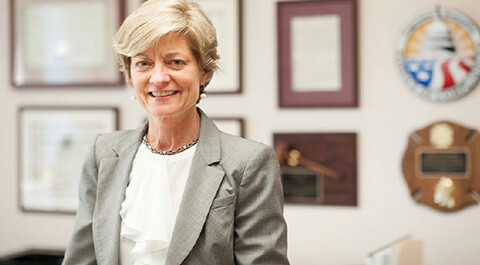 She has represented employers in state and federal court, and in administrative proceedings before the United States and Illinois Departments of Labor, as well as the NLRB and the Illinois State Labor Relations Board. Bobbie also serves as a certified mediator with the local state and federal courts.